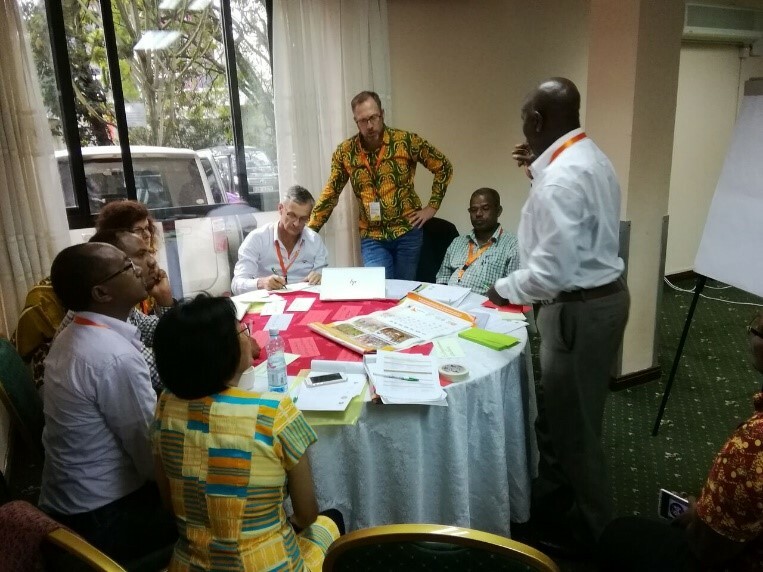 Representatives of three teams whose proposals were successfully awarded funds from the CGIAR Research Program on Roots, Tubers and Bananas (RTB) Scaling Fund, along with program leadership and technical experts in scaling, came together in Nairobi, Kenya, in March. The aim of the workshop was to equip the teams with the tools and knowledge needed to plan and implement strategies to take their innovations to scale. Participants left the workshop challenged with new ideas, new ways of addressing challenges to their scaling projects and a better understanding of how to scale up their technologies with the support of the tools provided. “I want to learn how we can make scaling work responsibly, taking on a systems perspective,” Graham Thiele, RTB Director, responded when asked about his expectations of the meeting. The other participants also agreed that overall, they wanted to learn how to make scaling work and work well. For the program’s second phase, RTB established a Scaling Fund as a mechanism to foster the scaling of the most promising RTB innovations, generate an evidence base around the scalability of these innovations and improve scaling strategies, approaches and tools. 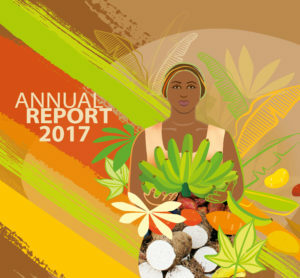 Three promising technologies were awarded grants following a competition selection process: 1) an approach for controlling the banana disease BXW known as single diseased-stem removal (SDSR); 2) a method for conserving sweet potato roots to produce planting material known as Triple S; and 3) a technology for turning cassava peels into an ingredient of animal feed. During the workshop, Theory of Scaling experts Seerp Wigboldus (Wageningen University & Research) and Murat Sartas (Wageningen University and International Institute of Tropical Agriculture), introduced the participants to the theory of scaling and the tools that support successful scaling up of projects with special focus on the Scaling Readiness tool. Participants worked in groups to identify their project core components and secondary components; assessing their readiness as well as identifying components that may cause challenges in achieving scaling and how to best address them. At the end of each group work session, a representative of the team presented the group’s discussions to the plenary. Each presentation benefited from rich debate, comments and suggestions. Below are some thoughts from the participants on their take-aways from the workshop. The next step in this process of scaling is a kick-off planning workshop in country for each project team and their partners using the tools and knowledge acquired from the workshop, to hit the ground running. With the relatively short project timeline of the Scaling Fund, 2 years, it is imperative that the technologies are rolled out effectively and quickly for maximum impact. This entry was posted in News, News & Events on May 10, 2018 by RTB.